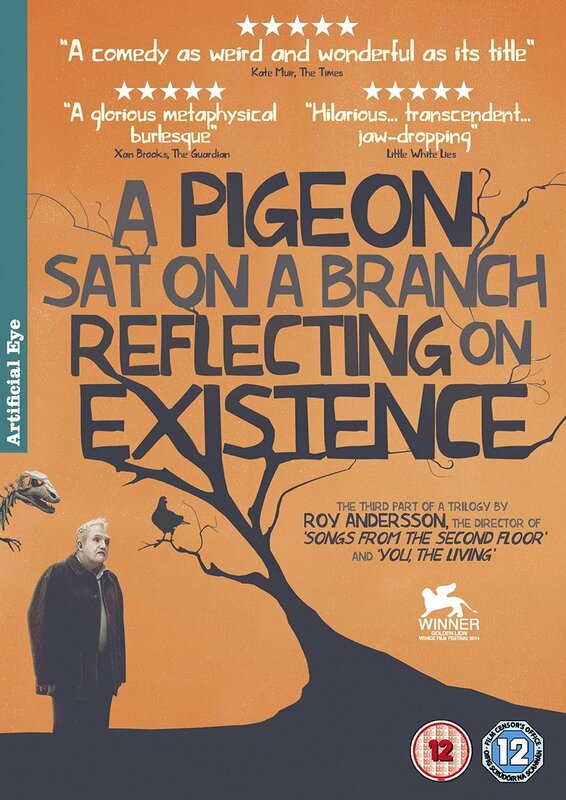 Swedish comedy drama consisting of twelve self-contained vignettes. Swedish comedy drama consisting of twelve self-contained vignettes. Swedish comedy drama consisting of twelve self-contained vignettes. Among the characters are Jonathan (Holger Andersson) and Sam (Nils Wesblom), two travelling salesmen who make a living selling joke products. Their stock is limited, however, as they only have three lacklustre items for sale: vampire teeth, canned laughter and a rubber mask, which they take from shop to shop whilst struggling to obtain orders. Meanwhile King Karl XII of Sweden (Viktor Gyllenberg) rides into a bar to procure the barman's services in the war against Russia. Swedish comedy drama consisting of twelve self-contained vignettes. Among the characters are Jonathan (Holger Andersson) and Sam (Nils Wesblom), two travelling salesmen who make a living selling joke products. Their stock is limited, however, as they only have three lacklustre items for sale: vampire teeth, canned laughter and a rubber mask, which they take from shop to shop whilst struggling to obtain orders. Meanwhile King Karl XII of Sweden (Viktor Gyllenberg) rides into a bar to procure the barman's services in the war against Russia.